Italian Campo front end: You will need to get a set of bearings, an internal spacer as well as a set of outer spacers (the bearings you can get from Motion Industries and the spacers can be cut from stock very easily). I am including an axle that needs to be cleaned up and have an old spacer tapped off and other then that just lace the wheel up and your set. Yes, your set looks identical to what Fritz built onto the original eglis. Even the rear brake (in the background of your photo) is the same. Looks like fritz made the swing arm to suit? I spent 6 months trying to get info and spares for these brakes, no luck. Even campagnolo could not be of help (I just know that in the deepest darkest corner of their store, there´s a box full of em!!! ?. The brake pads I had to make from scratch, and I wasn´t sure how the cables should be attached so I took the safe route and followed standard practice. 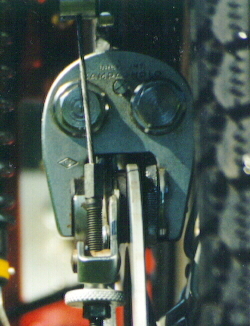 Something that worried me was the optimal working angle cable/brake-arm is not reached until the pads are down to metal ? The hubs are a work of art with the raised shoulder in the middle and the producers name cast in, in fact the whole setup is very well made. Shame the brake pads on my mountain bike are bigger ? I´ve convinced Thomas to fit other brakes to his Egli if he uses it a lot. It would be a real shame to wear the originals out knowing that no spares are available. 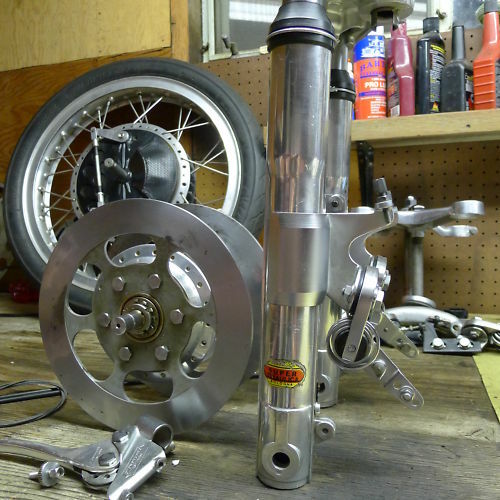 I know someone who raced in the late 60´s early 70´s with these brakes, and he doesn´t speak to highly of them ? Any chance of some close-ups of the arms/cable attachments? These were manufactured from approximately 1964-1968 and then became hydraulic. Their use was limited and therefore rare. 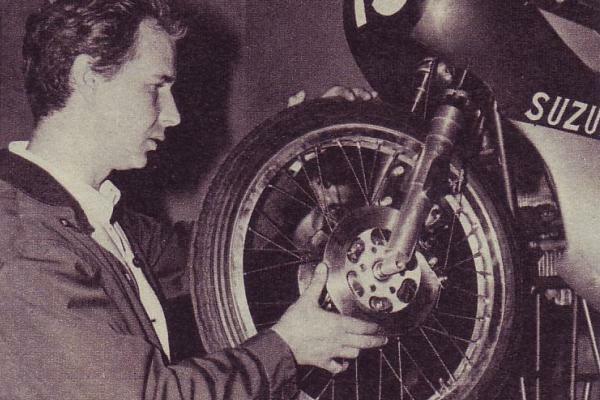 They were seldom seen on production motorcycles and were sold for aftermarket use on custom racing and street motorcycles. The brakes and hubs are made to the same standards as the Campy bicycle components--everything is lovingly machined and polished. 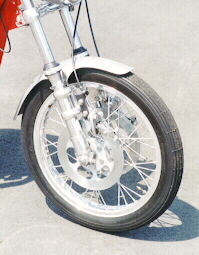 It is triple disc, two front brakes and one rear--the rear brake is seldom seen making it very special.